The organization “Scouts of the great steppe” of Kazakhstan have international volunteers positions for the summer “Nomads camp”. Nomads camp is the summer camp for children aged from 11 to 17 and situated in 100 kilometers from Astana in Akkol locality. They are looking for skilled volunteers, who are ready to work with kids and can spend 6 days away from the city. Experience in survival skills, aid, climbing and other Scout skills are preferable. They will provide accommodation in traditional Kazakh yurts, meals 3 times per a day, pocket allowances at rate 50 USD per term (6 days), sleeping bag, mat, transfer from airport to camp and back. There will also be an opportunity to travel around Kazakhstan and join Scout camps in other regions of Kazakhstan. In that case they will cover transport costs from one campsite to another. The number of seasons for applying are unlimited. Also please note that they are not covering air tickets, visa’s, medical insurance or the candidate’s private expenses. They are planning 8 seasons from the 18th of June till the 6th of August 2018 with international volunteers. One season – 6 days – lasts from Monday till Saturday. 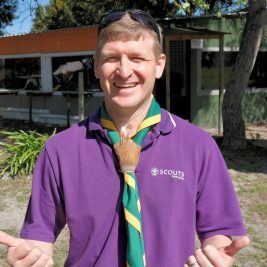 Send an email to international@scouts.org.za. 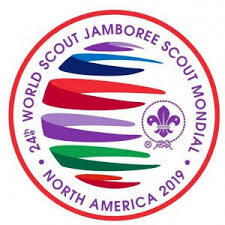 Once approved by the SA International committee, further clearance procedure from the Kazakhstan Scouts will be to fill in the Kazakhstan application form, email it to a specific address. After their review of the volunteer’s application they will request a Skype interview and select the most suitable candidates. After the successful interview the country specific applications can start. Kazakhstan deadline for application forms is April 9, 2018. Reference from NSO, passport copy, signed agreement with them, certificates and reference letters from other projects (not obligatory). They will also provide invitation letter for visa process (if it is necessary).